San Beda lawyer Bruce Rivera delivered a jab on Senate Minority leader Franklin Drilon after the latter announced that he is not in favor of the Martial Law extension in Mindanao. Rivera stated that while Drilon’s opinion on the matter is respected, the majority of the people in Mindanao wanted the extension and they should be respected too. 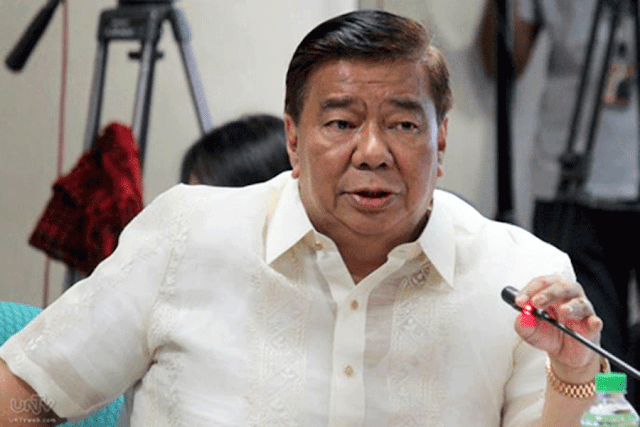 Drilon added that there may be threats of rebellion, but there is no actual rebellion, so the extension is not needed. “Let us not normalize martial law. Instead, let us help bring back normalcy in the lives of our brothers and sisters in Mindanao,” the senator added. In a post he shared on Facebook, Atty. 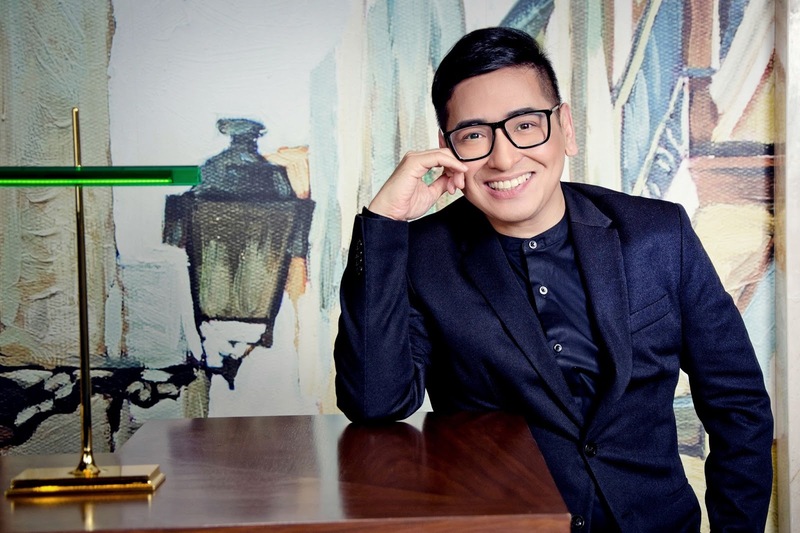 Bruce Rivera hit back at Drilon for rejecting the proposal despite the people’s clamor for the extension of Martial Law. The people of Mindanao felt more safer under the Martial Law, peace and order was regained in the south, and they want it to continue. Rivera explained that just like in life, there are things we don’t like but others do. 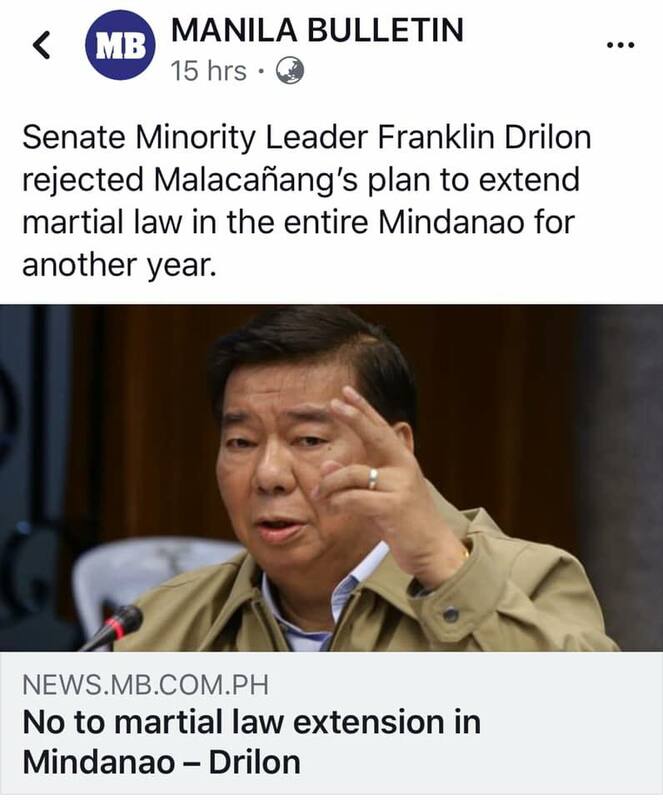 Same with the Martial Law, it so happened that Drilon doesn’t like it, however, majority of the people in Mindanao wanted it. Rivera further slammed Drilon by saying that no one is forcing the senator to be in favor of Martial Law. To each his own. But he advised Drilon not to impose his opinions on others, because just like his now famous pastime in the Senate, the people didn’t bother to disturb him and wake him up while he was sleeping. Yan din ang martial law. Gusto ng karamihan ng mga Pinoy sa Mindanao. Kung ayaw mo, walang namimilit. Walang basagan ng trip. Ginising ka ba namin sa kalagitnaan ng himbing nung tulog mo? Hindiiiii! !